Championed by a number of influential women working in Hollywood, including producers and agents, a newly-published study has revealed that the female-led blockbusters released within the last four years have outperformed male-led movies. Proof -- if ever it was needed -- that the landscape of filmmaking is changing and people are giving diverse narratives the attention they deserve. To answer the question, I’d say there are a few reasons why female films have been on the up recently, and they boil down to a) a panning away from male-centric movies in light of the Time’s Up era, b) greater quality of female-led screenwriting, and c) greater representation for marginalized groups. The study was conducted by Creative Arts Agency and Shift7 (a tech company led by a number of prominent women in the film industry, including Amy Pascal, Alexandra Trustman, Liza Chasin, and Geena Davis.) The intention was to examine the way in which female-led movies performed compared to male-led hits at the box office. It's always fascinating to take a look at the data underpinning media trends, and in this particular case, Davis hinted that she has been commissioning data to compile a study of this proportion since way back in 2004. By examining 350 top-grossing films released between 2014-2017, the study revealed that having women on screen in prominent roles was not only good for different groups to see, but was a key part of boosting a film's return on investment. These films were categorised by budget: <$10m, $10m-$30m, $30m-$50m, $50m-$100m, and $100m+. In order for a film to qualify as female-led, a woman had to be listed as the leading actor by being the first listed in promotional and distribution material. Results revealed that films such as Wonder Woman, which was one of the highest-grossing female-led films of the period (released in 2017, it garnered over $821m at the box office worldwide), were responsible for the huge commercial success of diversity in the US film industry, and perhaps tipped producers to greenlight more diverse projects. Since it’s become apparent there is a deep malaise surrounding Hollywood’s most powerful men -- not all of them, but a dangerous minority nonetheless -- disaffection with the industry is the natural consequence of their actions. As a result, audiences have been revealing that they no longer want to see the same people who have been accused of such atrocities on screen, to the point where it becomes part of the stigma of supporting their films. Earlier this year, I went to a screening of Woody Allen’s (admittedly awful) Wonder Wheel, and the fact that I was the only one remaining by the end of the picture is testament to the reality of this situation. However, even out of this unfortunate set of events, good has come about. This rift in the fabric of Hollywood, bringing down generations of institutional reinforcement, has finally paved the way for narratives of female empowerment. Now, with so many viewing options both in theaters and on demand, it’s even easier to apply algorithms and monitor consumer trends, proving that female-centric films and shows are in high demand. Returning to CAA’s study, another interesting point that came to light was that all the films that surpassed the $1 billion mark at the global box office passed the Bechdel Test, in which A) a film features at least two women in a scene alone, and B) and they talk about something other than a man - a surprisingly low bar that so many films fall short of. Since language is the key to revealing the filmmakers' intentions in communication to their audience, it’s encouraging to know that not every conversation must be marked by the same rigid conventions and formulas of movies historically. In my mind, this is a hugely important milestone and signals a sea-change in the way that movies for all audiences are being written. More and more female voices are being made showcased, not only via actresses on screen but through the inclusion of female writers - this is a fundamental shift that changes the entire tone (and therefore ideology) of a film. This works on every level, from a classic, feel-good Nora Ephron screenplay to the razor-sharp talents of Gillian Flynn. One of the most publicized female screenwriters this year, Flynn has worked on screen adaptations of her novels Gone Girl and Sharp Objects. Her celebrated work includes the screenplay for Widows, my undisputed favorite film this year, and it’s apparent through her collaboration with Steve McQueen that female writing doesn’t have to mean being anti-men. It can be thoughtful, intelligent, lucid and, importantly, works in tandem with the goals of talented male filmmakers in order to create insightful social commentary. Amy Pascal, the powerhouse producer behind blockbusters like The Post, Spider-Man: Homecoming, and Venom, made a statement on her group’s study: "This is powerful proof that audiences want to see everyone represented on screen. Decision-makers in Hollywood need to pay attention to this." And she's right - often it's a case of raising greater awareness of existing stats and addressing the unconscious gender bias in order to support decisions to back more female-led projects. 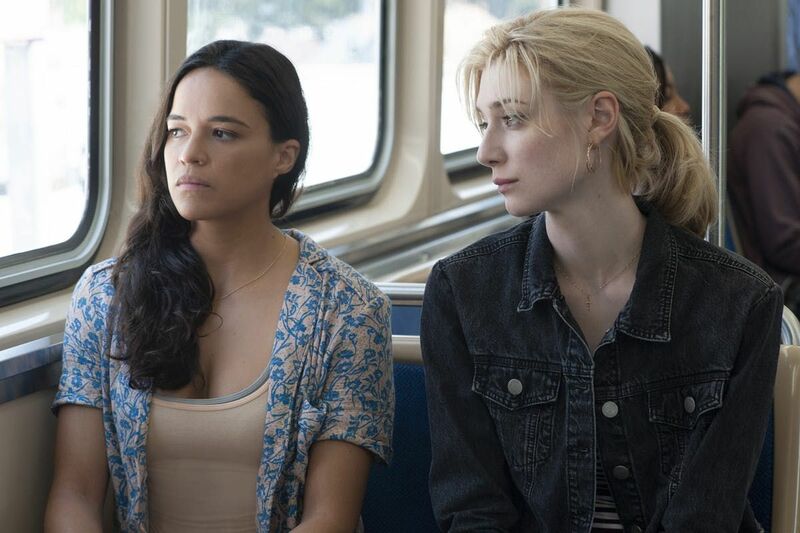 There have been a whole host of brilliant female-led films this year, Widows naturally taking the top spot, closely followed by Tomb Raider - yes, Alicia Vikander soared, and on this point, I strongly contest other Flixist reviewers' opinions. This year alone we’ve seen (in no particular order): Eighth Grade, The Favourite, Suspiria, Annihilation, Ocean’s 8, The Hate U Give, Tully, To All The Boys I’ve Loved Before, The Spy Who Dumped Me, Disobedience, Proud Mary, Thoroughbreds, A Simple Favor, Colette, Lizzie, The Wife, The Miseducation of Cameron Post, The Girl in the Spider’s Web, Cam, Mary Queen of Scots, Vox Lux, Can You Ever Forgive Me?, Dumplin’, Sierra Burgess Is A Loser, The Children Act, A Wrinkle In Time, Woman Walks Ahead and I Feel Pretty. That's at least 30, to name a few, there and plenty more that haven't been mentioned here well worthy of their female leads. Suffice to say, then, there are plenty of female film leads currently in circulation, and the added backup of industry stats revealing that they are profitable (in some cases, phenomenally so) hopefully means that more film production companies and producers will be taking on board diverse projects. I'm aware, however, that although these films sometimes leave a lot to be desired. Focusing for example on Netflix's recent female-led releases, from high school dramas to star-studded feel-good flicks, it’s clear that there’s still a bit of work to be done, stronger efforts involved in representation for marginalized groups. To All The Boys I’ve Loved Before created an online storm over the summer (in tandem with the Asian-American profiles showcased in Crazy Rich Asians) but it’s my personal and unpopular opinion that To All The Boys is not a good film. It may be Netflix’s most rewatched original film of 2018, along with The Kissing Booth, but it feels dated, corny, more like a 90s romcom with remnants of outmoded relationships than a look at the modern woman. I feel as though, for something with so much reach, Netflix could do better. Yet I’m hoping that this is just the beginning, a pilot, if you will, of all the possibilities of racial representation in mainstream on-demand services. The fact that it's even in existence and has been so popular gives me hope that this is the start of a wider cultural movement. The analysis is incredibly important to have originated from the industry itself, and it couldn’t have come at a better time, especially in the powerful Time's Up movement. While there remain manifold issues in terms of positive racial representation in Hollywood cinema (and that's not even to touch on LGBT representation, which would require another article), the start of a shift towards non-traditional modes of storytelling, which is cause to celebrate nonetheless. On the back of studies over the summer that showed how diversity among film critics is disappointingly low, at least it’s refreshing to see that female-led films are not only wide-ranging but performing well critically and commercially. I hope that in the future, owing to important and immutable studies such as CAA’s, that influencers and producers in Hollywood will fully change their trajectories and produce more content that justifies those they are entertaining on the other side of the screen.